A contemporary art exhibition by The Lonely Arts Club. 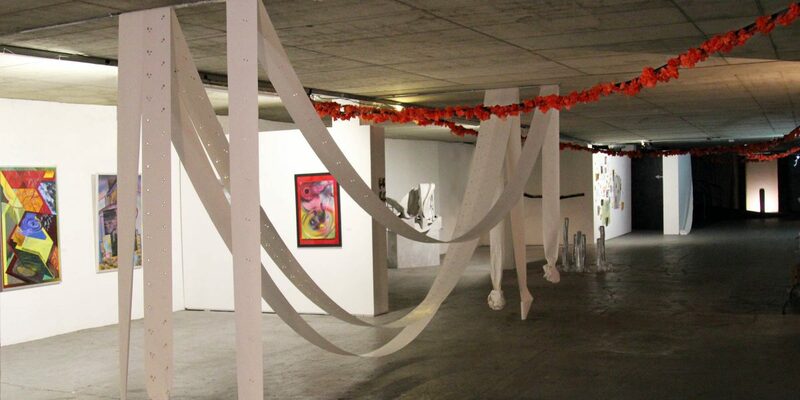 Artists are responding to the theme PLACE with an exciting range of painting, sculpture and installation. Emphasis is on the use of creative lighting and subtle changes to the artwork so the Undercroft Gallery is never the same place twice. Including installations by Emma Louise Jarvis who uses found photographs and a variety of archives to explore the nature of memory, identity, social material relations and the narrative. Spot the cockroaches in the Undercroft Gallery, one of several installations by Andy Hornett. Follow the link to find out more about his work. Also find artworks, paintings, installations, sculptures by Tanya Goddard and other artists.